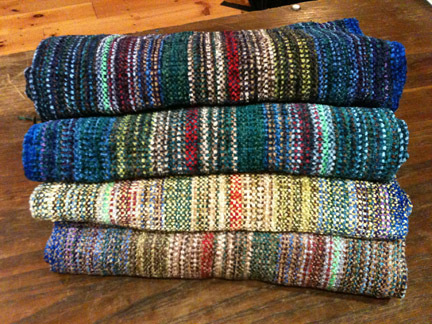 “Story Scarves” by weaver Kathy Litchfield inspired by hiking in the woods amongst wildflowers. 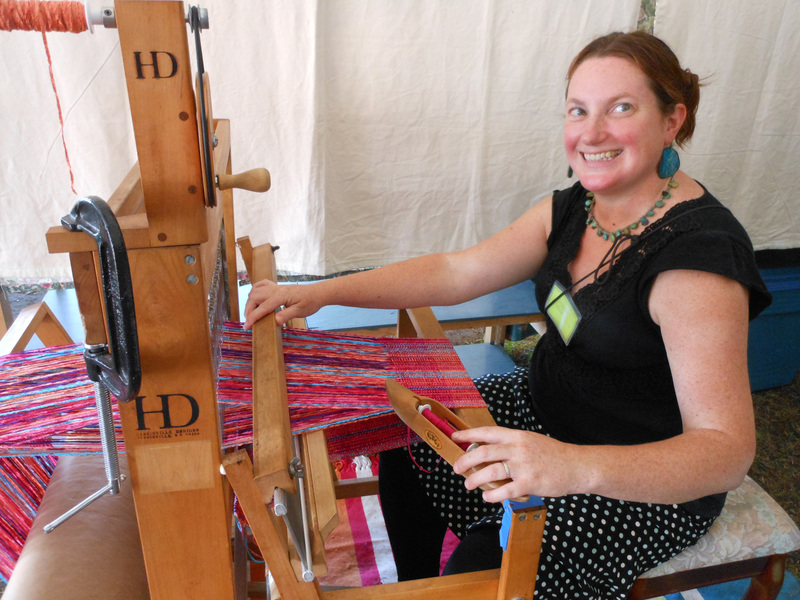 From the moment she threw the shuttle through the shed, Kathy fell in love with weaving. Alongside a rewarding career of journalism, graphic design, marketing, organic farming and non-profit program management, she found her way to weaving teacher Donna Cavagnac in 2005 for her first weaving class at North Quabbin Textiles in Orange, Mass. 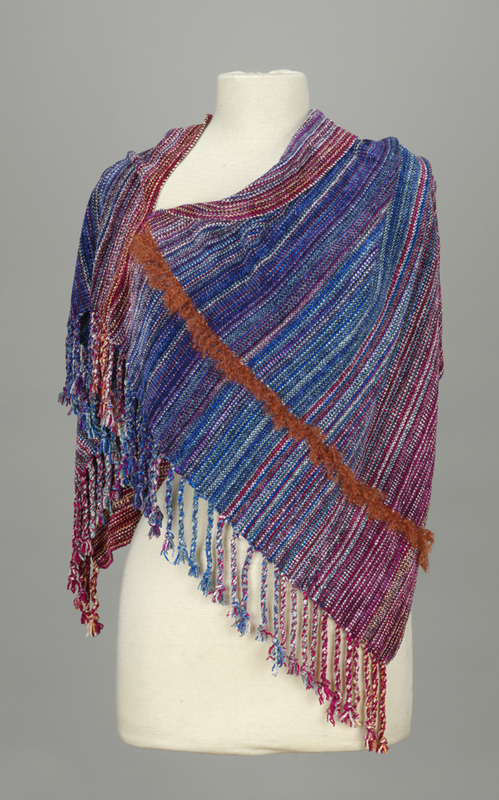 After moving to Gill in 2008, she took intermediate and advanced weaving classes at the Vermont Weaving School in Putney, Vt. and is presently working towards her Master Weaver’s Certificate at the H ill Institute in Northampton, Mass. She loves sharing her joy through weaving. 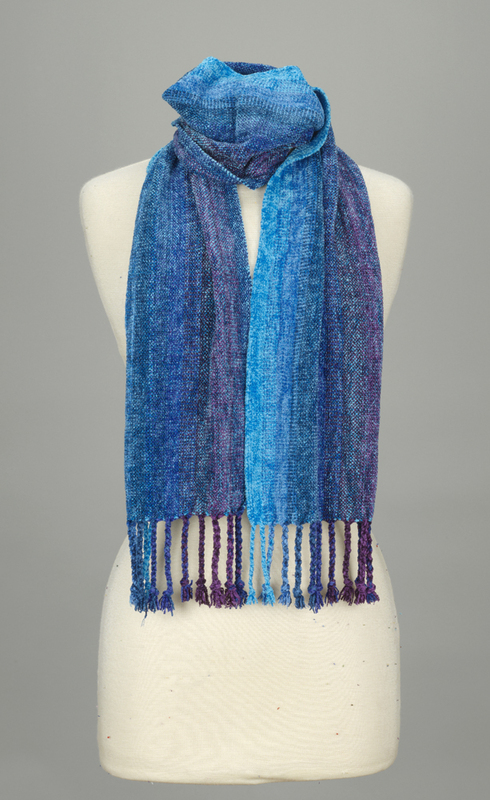 Kathy draws inspiration from nature and the magical world around us to design and create beautiful, functional scarves, shawls and home goods that enhance one’s home or lifestyle. 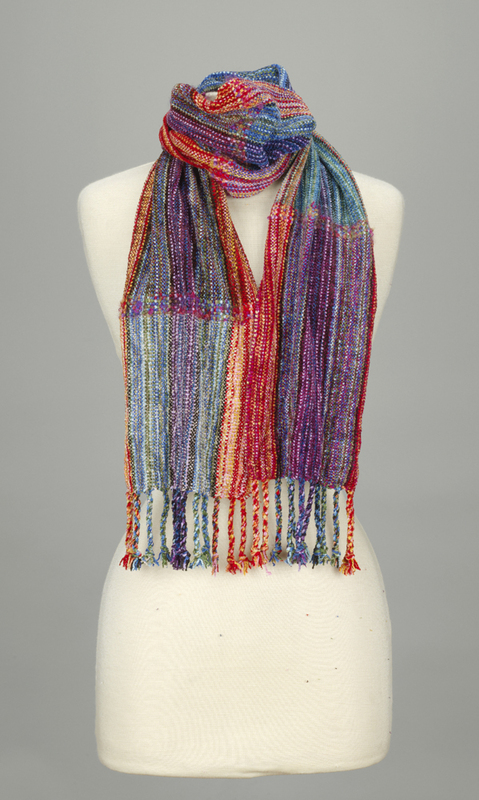 Specialties are her original “Story Scarves” and “Story Shawls” that share tales and life experiences woven into fabric with vibrant colors and rich textures. She often incorporates novelty yarns and contrasting fibers into the same piece. She weaves mostly on an 8-harness cherry Norwood loom and enjoys demonstrating on her portable 4-harness Harrisville or Macomber looms. Contact her at Kathy@firecrowhandwovens.com or visit her website: www.firecrowhandwovens.com.